Julie Barnes works with Oasis as a facilitator, organisational consultant, personal counsellor/supervisor and coach/one-to-one developer using person-centred and whole person principles and Appreciative Inquiry. She has 30 years’ experience of working in the public sector and independently with individuals and organisations. Graduating in social sciences, Julie has worked in social care research, inspection and policy development for adults and children’s services in local and national government in England and Wales. As an independent consultant, she has contributed to research, inspection (HMICA), evaluation, policy development and change management facilitation for local and national government departments, academic research teams and other UK organisations. She has offered individual counselling and coaching since 1996 and has a private practice in Nottingham. 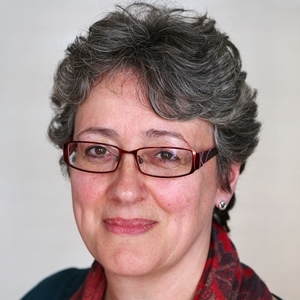 Julie has been working with Appreciative Inquiry, a dynamic, relational approach to learning and change, since 2002, having trained in the UK and USA, practised widely in different contexts and written about its application in counselling, supervision, research and social care improvement. She is currently exploring the connections between AI and Whole Person Learning. Working with person-centred and whole person principles and Appreciative Inquiry, Julie offers her passion for working with individuals and organisations who want to learn, develop and unlock their potential. She encourages people to work in the ways that best suit them, being creative and innovative, self-managing within a supportive and accepting environment – achieving and sustaining their very best. She is particularly interested in collaborative approaches that invite people to learn from their experiences and build on their individual and corporate strengths to create flourishing lives and environments and exceptional outcomes. Working innovatively and creatively, Julie is committed to approaches which offer an equal voice to people who are often excluded from formal planning processes and has supported people with learning disabilities and people with dementia to participate in having their say and being heard within formal processes. She is fascinated by the impact of presence beyond words and healing and growth through rhythm, drumming, music, singing, mindfulness meditation and the creative use of images and other media. As a civil celebrant, she co-creates and conducts funeral and wedding ceremonies which reflect the beliefs and wishes of families. As a one-to-one developer, Julie works with you on what you want to achieve; in the way that best suits you; challenging and supporting you in reaching your potential and increasing your influence, impact and enjoyment of what you do best. In doing this, we can’t help but improve every part of ourselves, our life, work and the situations we are facing. If you want to go faster, go alone. If you want to go further, go together. Julie will encourage you to work in the way that best suits you, being creative and innovative, within a supportive and accepting environment. This might be in an office, walking in the park or something more adventurous! She will co-create the space with you that you need to do your best work and take the time to reflect and learn. building on your strengths and learning new skills to achieve even your wildest dreams. With a background in social research, counselling and appreciative inquiry, she is fascinated by what helps people learn, grow and unlock their potential. What helps us to be the best we can possibly be – as leaders, as professionals and as people?